Alicia Fabbri is Vice President and co‐owner of Carrie Dove Catering & Events. Alicia was hired by the company as an 18 year old culinary intern in 2003 when they really had no idea what they were doing. Alicia went on to work as a prep chef, sous chef, event coordinator, back to head chef, and then on to Vice President, and recently co‐owner. Alicia now has responsibility for all facets of the business – from culinary, to human resources & culture, to operations. 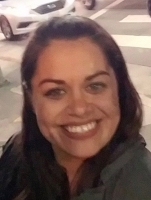 Alicia is a graduate of the California Culinary Academy in San Francisco, and lives in San Francisco with the team’s lead banquet captain, and their 9 year old daughter.